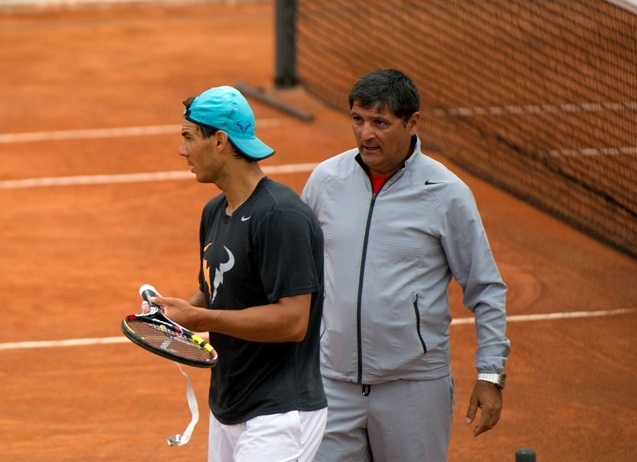 After a surprisingly flat conclusion to his quest for yet another Madrid Masters 1000 title, Rafael Nadal will look to salvage his clay court warm-up period with a solid showing at the Rome Masters event – the final buildup ahead of Roland Garros. The Spaniard will begin his campaign against Marsel Ilhan, whom he has never faced previously on the professional tour. In one of the more surprising finals in recent memory, Andy Murray defeated Rafael Nadal in straight sets to lift the Mutua Madrid Open title on Sunday. It was Murray’s second win at this event but his first since the tournament moved to clay. Nadal, who commit far too many unforced errors for comfort, dropped to 8-3 on clay this season and has also dropped outside of the Top 5 for the first time since 2005. While he is now ranked No. 7 on the tour, Nadal is confident that he will work his way back up and could still be a significant force at this year’s French Open. Turkish qualifier Marsel Ilhan followed up on his wins against Gianluca Mager and Daniel Gimeno-Traver in the qualifying stage with a straight sets victory against Adrian Mannarino in the opening round of the main draw. He beat the Frenchman 6-4, 6-1 in a match that saw him strike three aces and save all six of the break points he faced during the match. This is scheduled to be the first time that Nadal and Ilhan cross paths on the professional tour. While opportunities like this are where youngsters play as though they have nothing to lose, it will likely be Nadal who puts his best foot forward in an attempt to mitigate the desperation he is approaching.